My talent is football. I love playing and watching sports, but football attracts me the most. During my childhood, I used to play table tennis a lot and cricket as well, but as I grew up, I lost interest in these sports, and gained interest in football. All of my cousins used to play football, and because of that, I started playing it myself, I found my hidden talent, I got really good at it, and I used to be the first pick in any of the teams. At school level as well, I played a lot, we used to play football, in the breaks and in our games periods as well. I was always the captain of my team. And as I got into my o levels, I was considered for the school team. And at that age, getting in the school football team was a big thing. 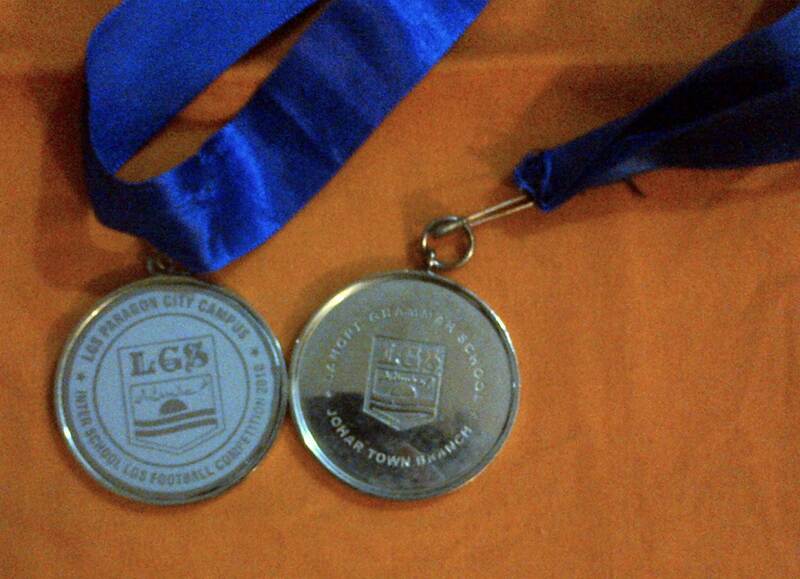 I played in the school team for the next four years, and was named the captain in my last year. But when I changed schools, I lost interest in playing football, studies took a toll on me, and there was no time to play football, and also, during a match I got badly injured, and wasn’t able to play football for 6 months. But I kept on watching football, I follow Portugal and Manchester United. My favorite player is Cristiano Ronaldo. I try not to miss a United match. One of the things in my bucket list is, visiting Old Trafford, and watching Ronaldo play live. I prefer playing as a holding midfielder, because sprint isn’t my forte. 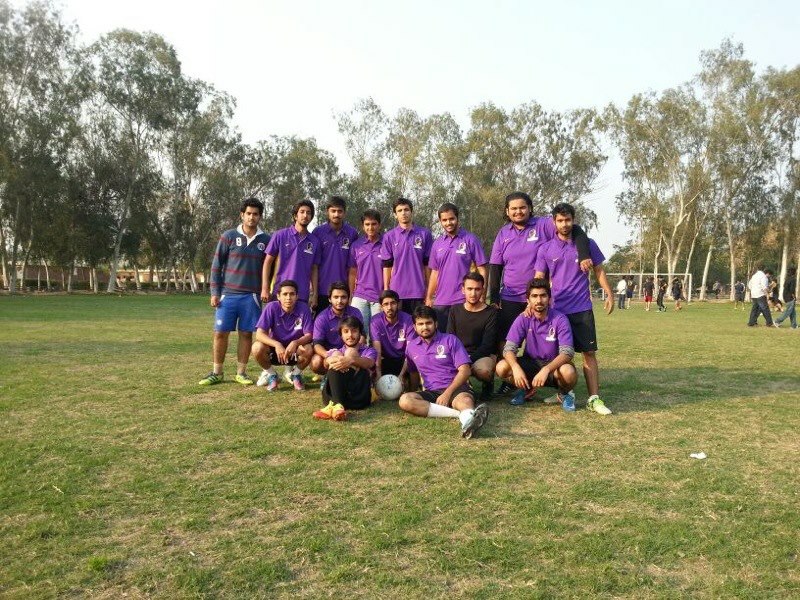 I play for the phantoms in the LSE football league. Cristiano Ronaldo was born on February 5, 1985, in Madeira, Portugal. 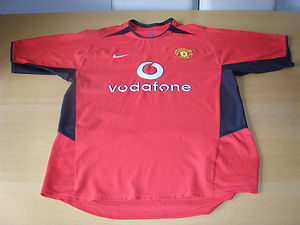 He signed for Manchester United in 2003 for a fee of £12 million, which at the time was a record fee for a player of his age. In 2009, he signed for Real Madrid for a record fee of £80 million. Ronaldo is considered one of the best players of all time. Ronaldo grew up in small tin roofed shack that overlooked the ocean. His early life was shaped by hardship; his father who worked as a gardener, often drank too much, which eventually lead to his death from kidney problems in 2005. To help keep the children fed, and maintain some financial stability, Ronaldo’s mother worked as a cook and cleaning person. Ronaldo was first introduced to the game of football through his dad’s work at a boy’s football club. By the time he was 10 years old, he was already recognized as a phenomenon—a kid who ate, slept and drank the game. By 2001 he was playing for one of the top clubs in his native Portugal and same year he put in a mesmerizing performance against Manchester United, wowing even his opponents with his footwork and deft skill. He made such an impression that a number of United players asked their manager to try and sign him. It wasn’t long before Manchester United paid Ronaldo’s team more than £12 million for his services. He did not disappoint at Manchester United and in 2008 he put together one of the club’s finest seasons in history, scoring 42 goals, on his way to becoming FIFA World Player of the Year. After such stunning performances he signed for Real Madrid after months of speculation. In addition to his FIFA World Player of the year award, Ronaldo has also won the coveted Ballon d’OR, the Golden Boot, and been named the UEFA Club Forward of the Year, among other honors during the course of his career. He is constantly compared with Lionel Messi of Barcelona, and every year each player tries to overdo each other. 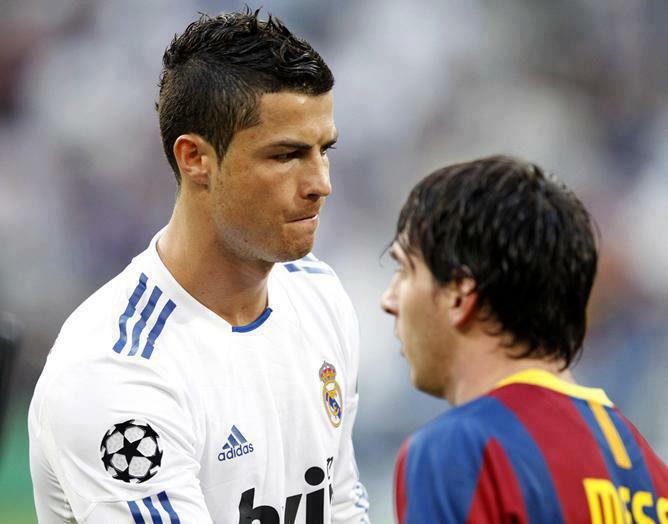 Their club rivalries have also given spark to Ronaldo vs. messi. Ronaldo has scored in 6 consecutive el clasicos, whereas messi, hasn’t been as consistent in his performances. Ronaldo at his young age was a very rash player and wasn’t concentrating on his career, but during his time at old Trafford and under the manger ship of Alex Ferguson, he completely transformed into a professional football player. Ronaldo played against his former club, Manchester United in the round of 16 of the Uefa Champions league. He scored against United in both the legs, and received a standing ovation from the United fans, on his return to old Trafford, fans were holding posters reading “Welcome back, No7”. He showed respect and love for the club, when after scoring goals, he didn’t celebrate. 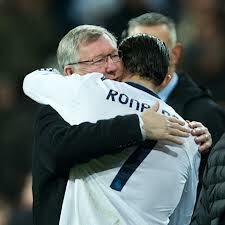 He has too much love for Manchester United, the players, the staff, and the manager. Ronaldo is an inspiration for many football fans, across the globe. Many young players even look up to him as an idol. Many of the football fans copy his playing style, and try to imitate his style in their football. The unique free kick style is also imitated by many footballing fans. I actually started watching football, after watching, Ronaldo play, his style, his attitude and his skills, were things that really inspired me into watching football. And because of him, I started supporting Manchester United. I also started watching the Spanish league because of him. He is a true inspiration, to every football player across the globe.